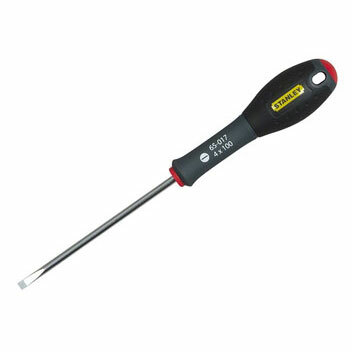 The FatMax Parallel tip screwdrivers have a chrome vanadium steel bar which allows high torque and reduces the risk of tip breakage, and the handle is moulded directly to shaft for a virtually unbreakable bond which gives long life and durability. Parallel tips are ideal if the screw needs to be driven below the material surface. If you require further information on our FatMax Screwdriver Parallel Tip give sales a call on 01942 720777 or email us on sales@nwtt.co.uk.